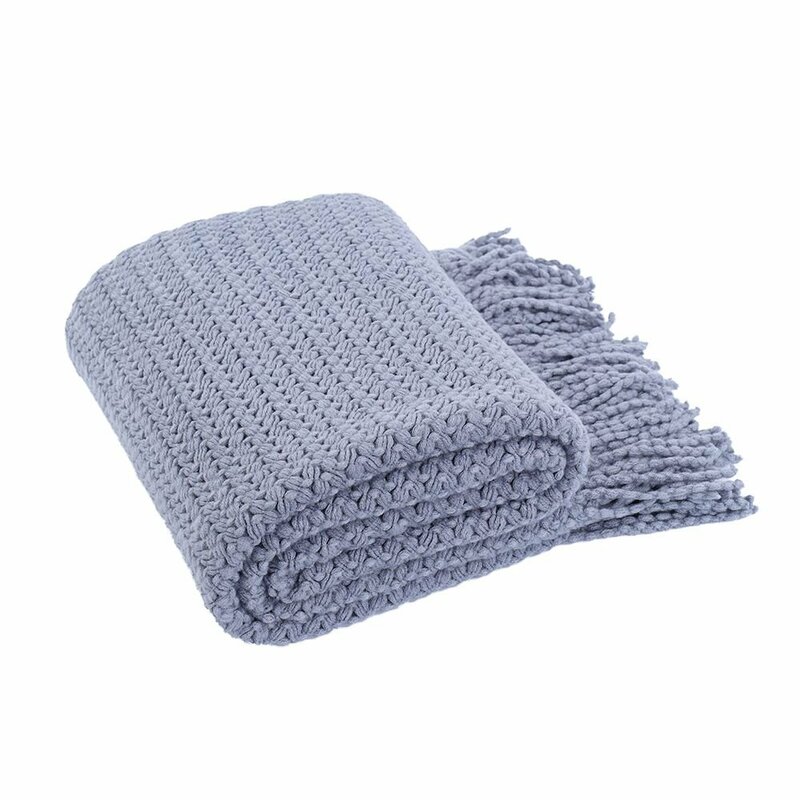 Battilo (Bluish Grey)Wheat Knit Tassel Throw Blanket For Couch Sofa Bed Home Décor 51" x 59"
UPER COZY & WARM – Soft against the skin and good warm touch; ideal for sensitive skin and tender; great for baby, children and the old. Care Instructions MACHINE WASH COLD, GENTLE CYCLE, AND SEPARATELY. DO NOT BLEACH. TUMBLE DRY LOW, REMOVE PROMPTLY, DO NOT IRON. Battilo【Navy】Stars Printed Flannel Blanket Air-conditioned Lively Office Nap Cover 59" x 79"
Battilo (Dark Grey) Cable Knit Blanket Nature Soft Sofa Bed Cover Throw 50"x 60"
Battilo Knitted Blanket (Light Grey) Throws Blankets for Sofa Chair Couch Cover Home Decor, 50"x60"
Battilo (Navy)Stars Printed Throw Pillow Cushion for Couch Bed Sofa,16" X 16"